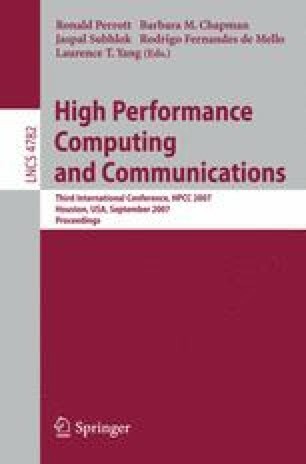 Computing ”in-place and in-order” FFT poses a very difficult problem on hierarchical memory architectures where data movement can seriously degrade the performance. In this paper we present recursive formulation of a self sorting in-place FFT algorithm that adapts to the target architecture. For transform sizes where an in-place, in-order execution is not possible, we show how schedules can be constructed that use minimum work-space to perform the computation efficiently. In order to express and construct FFT schedules, we present a context free grammar that generates the FFT Schedule Specification Language. We conclude by comparing the performance of our in-place in-order FFT implementation with that of other well known FFT libraries. We also present a performance comparison between the out-of-place and in-place execution of various FFT sizes.